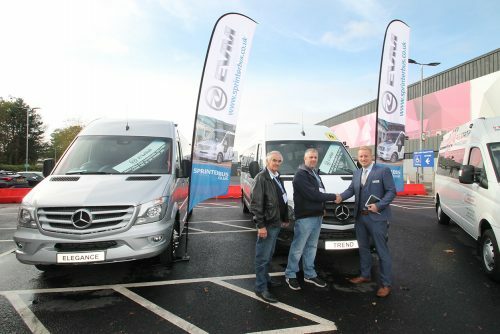 Leatherhead-based Haines Mini Coaches has taken delivery of an EVM Trend. Based on a Mercedes-Benz Sprinter 314CDI, the Euro VI engine is driven through a six-speed manual gearbox. In the interior 16 EVM executive class seats are fitted and finished in artificial leather with three-point seat belts and aisle side folding armrests. EVM stepped curved double-glazed windows in privacy grey complete the passenger saloon. Mercedes-Benz HH9 in-dash Tempmatic air-conditioning provides saloon cooling through rack mounted passenger service units. The vehicle exterior is finished off with an EVM front bumper and side skirts in Mercedes-Benz white. A three-year Mercedes-Benz unlimited mileage chassis warranty and a three year EVM conversion warranty are included.